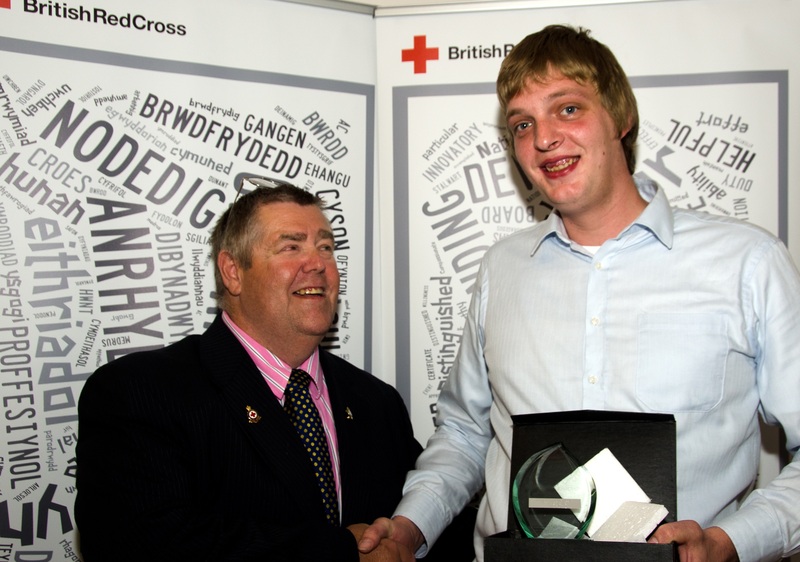 Volunteers from across South East Wales came together on Friday 29 May to attend the annual British Red Cross celebration event which recognises the outstanding service, contributions and dedication made by volunteers throughout the year. The event, which was held at the Lysaght Institute in Newport, recognised a staggering 445 years of combined service among 23 of the attendees. Diane Cannard (61 from Cardiff) was awarded a 50-years’ service badge along with a certificate of commendation and a voluntary medical services clasp representing her five decades of service to first aid. 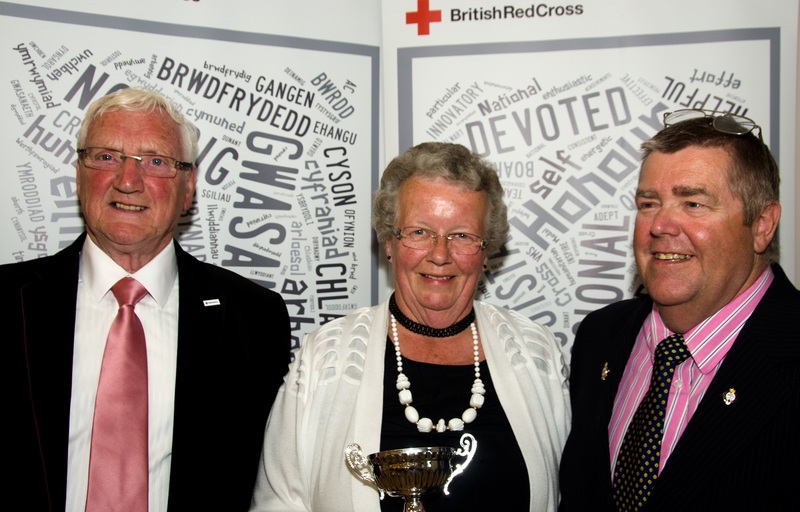 Diane’s 50 year journey with the Red Cross began when she became a junior first aid cadet at just 10 years old. When she was 17, Diane signed up as a VAD (Voluntary Aid Detachment) and was based at Cardiff Royal Infirmary’s Accident and Emergency department. Throughout the years, the Red Cross has continued to play a huge role in Diane’s life. Until recently, she spent most weekends providing first aid duties at public events across Wales, volunteering up to 1,000 hours of her time a year to the charity. “The Red Cross has been my life,” Diane says. “I’ve have some great memories, such as sleeping under canvas in my youth and losing my shoes in the mud at one particularly wet event. I also used to enjoy providing first aid cover at the Capitol Cinema in Cardiff as I got to see all the latest films. It’s been a lot of fun. Diane’s passion for the history of the Red Cross is evident in her huge collection of interesting and rare memorabilia dating back to the Crimean War. Last year, to help mark the centenary of World War One, Diane displayed her collections at events across Wales to help tell the story of the Red Cross throughout its history. 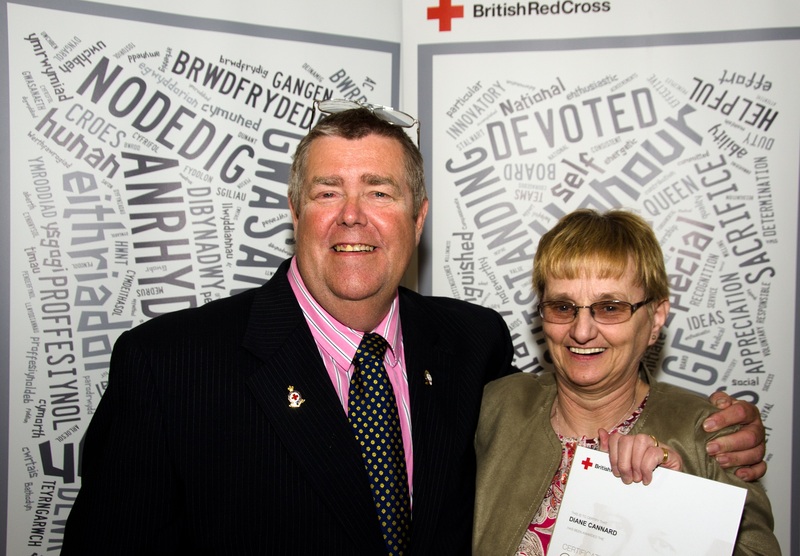 Also recognised at the celebration event were husband and wife team, John and Sylvia Sharland from Abergavenny, who were both presented with an acclaimed Red Cross Badge of Honour for Outstanding Services. The couple also received the Fundraising Cup for their sterling efforts in raising money for the charity. 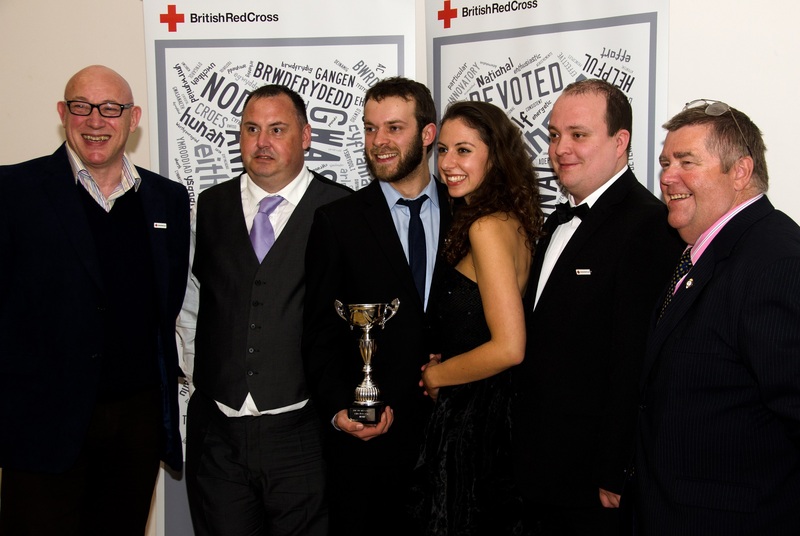 Max Lampett – a student at Cardiff University – received the Young Volunteer award and was praised for his role in helping to save the life of a gentleman who had suffered a cardiac arrest at Chepstow racecourse. The Emergency Response and Resilience Cup was presented to the Fire and Emergency Support service team who provide 24/7 support to the South Wales Fire and Rescue Service. Volunteers are called out by the fire service to attend house fires and other incidents to offer practical and emotional support to those affected. A Group Certificate of Commendation was presented to the training team for event first aid in South East Wales.